1.Location of your investment property to your primary residence. The more miles between you and your rental dwelling, the harder it is to manage. The time it takes to get to your rental and the cost of getting there all adds up. Hiring Pioneer Enterprises LLC makes good sense and you will save money in long run. 2.Access to variety of skilled personnel’s your property at times will need different types of repairs and these can be emergencies or next day calls. They may come any day and any time. Do you have reliable contractors who will answer their phones and respond? Will they be available when needed? Will they stand behind their work? 3.Do you have high turnover, vacancies, prepping your rental property? Do you have high turnover, vacancies, trouble prepping your rental property? 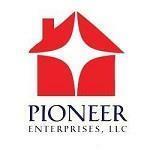 Pioneer Enterprises have turned over 500+ rentals in Baltimore Metro area. We have a dedicated staff for Showing, Advertising, Underwriting, Screening applicants. Move In and Move Out procedures are in place. We handle delinquent tenants in a timely fashion, in order to avoid any further rental loss. We have devised and implemented various marketing strategies and showings to accommodate prospects . We have good understanding of landlord-tenant and Fair Housing laws, thereby reducing the risk of complaints and suits. 4.What is your tolerance for dealing with your tenants? What is your tolerance for dealing with your tenants? Dealing with evictions, delinquencies, maintenance complaints, frivolous complaints, neighbors, HOA, condo violations, and inspections can take a toll on your mind. Time and stress are dedicated to these nuisance items. 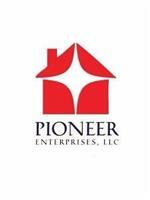 Pioneer Enterprises, LLC is skilled in handling landlord-tenant conflict. In addition, when the tenant knows they are dealing with Professional Management Company, they may act more professionally. We have seen a number of investors lose money due to mismanagement, either by self-management or by hiring wrong the Manager. Real Estate is a big investment, even larger than retirement plans. Most of us wouldn’t consider self-managing a 401K. Why do something similar with your investment property. We are paid for our services, but for Landlords our fees are outweighed by the amount we save them in numerous ways.